(Bozeman, MT.) 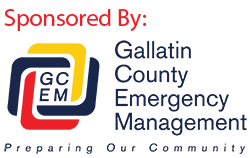 On Friday March 23, 2012at approximately 2:58pm Gallatin County Dispatch received a call reporting two injured horseback riders about two miles up the Porcupine Creek Trail immediately off of the trail in the Gallatin Canyon North of Big Sky. It was reported that both patients fell from their horses; one patient was partially rolled on by her horse. Initial reports indicated that one or both of the patients might be suffering from potentially serious injuries. Sheriff’s Search and Rescue at Big Sky with a Sheriff’s Deputy/SAR Coordinator responded to the Porcupine Creek Trailhead to conduct the rescue. SAR teams quickly located and assessed the patients. It was determined that both patients were stable enough to be removed by ATV and rescue sled. Patient one, a 27 year old female fromOhiowas suffering from more serious and painful injures and was therefore removed first. Patient two was suffering from less serious injuries and was removed a short time later. Both patients were transported to Bozeman Deaconess Hospital by Big Sky Fire and Rescue. Both patients were riding in a group of approximately six riders with a local guide service. Unstable and muddy conditions were likely to blame for the first fall. The first fall spooked a second horse ultimately causing the second fall.